Miamai has moved to a new sim and we have a new look. We have secretly been building the new location and making the choice on what items will move to MP, what will be updated, and what gets removed completely. Finally we are very happy to invite you all to come see the new sim and explore the store. To celebrate we have a new group gift! New releases, infos, a gift! 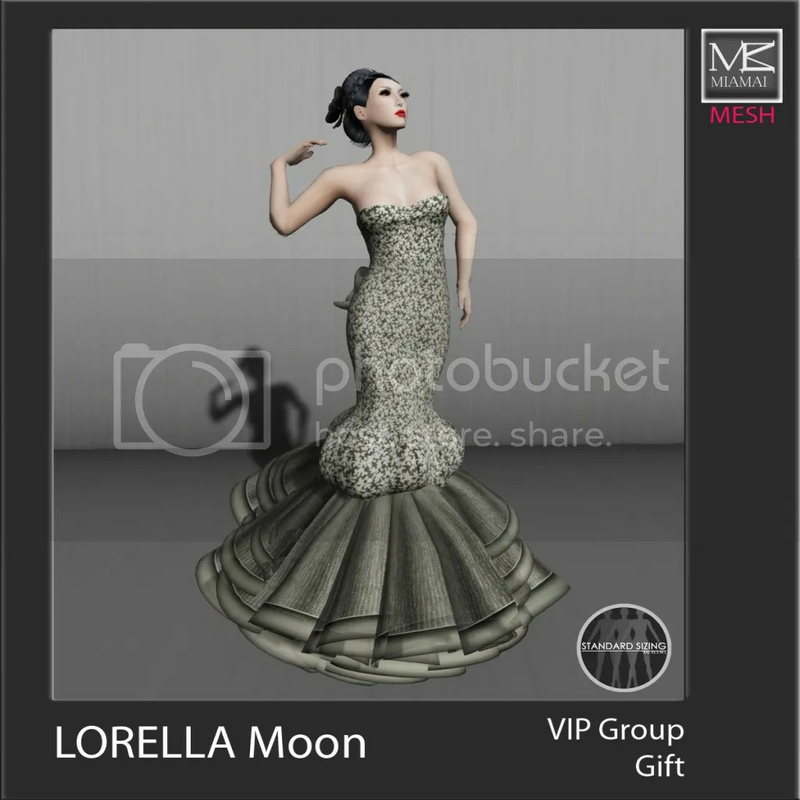 This post is full of things: new releases for the ladies and the gents, infos about Lolas Tangos appliers and a new group gift. 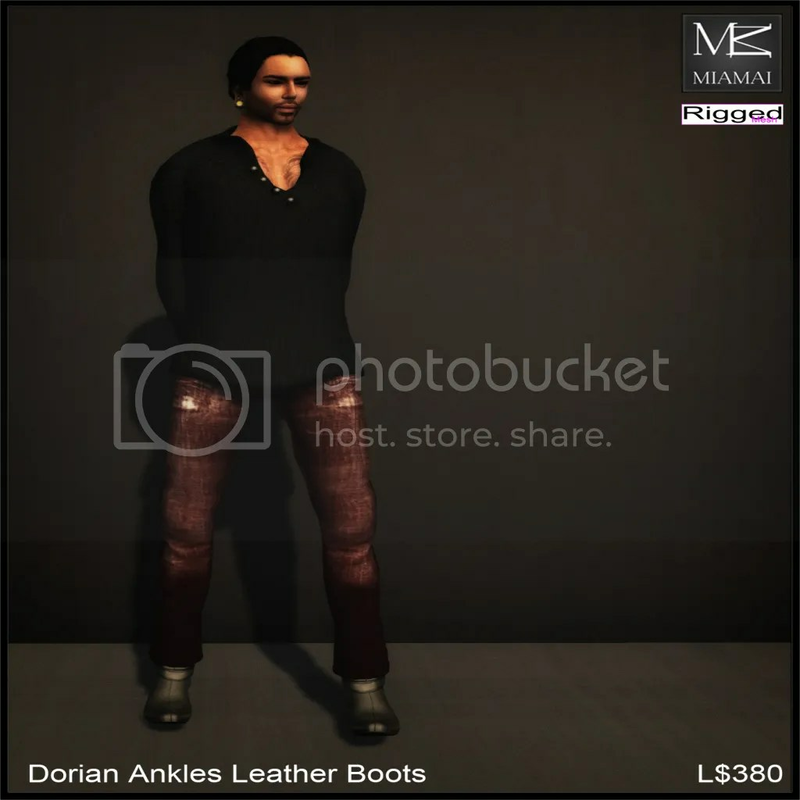 And you guys meet Dorian, ankle boots for you too, ’cause you also need to look cool, extremely cool in this case….hehehe. 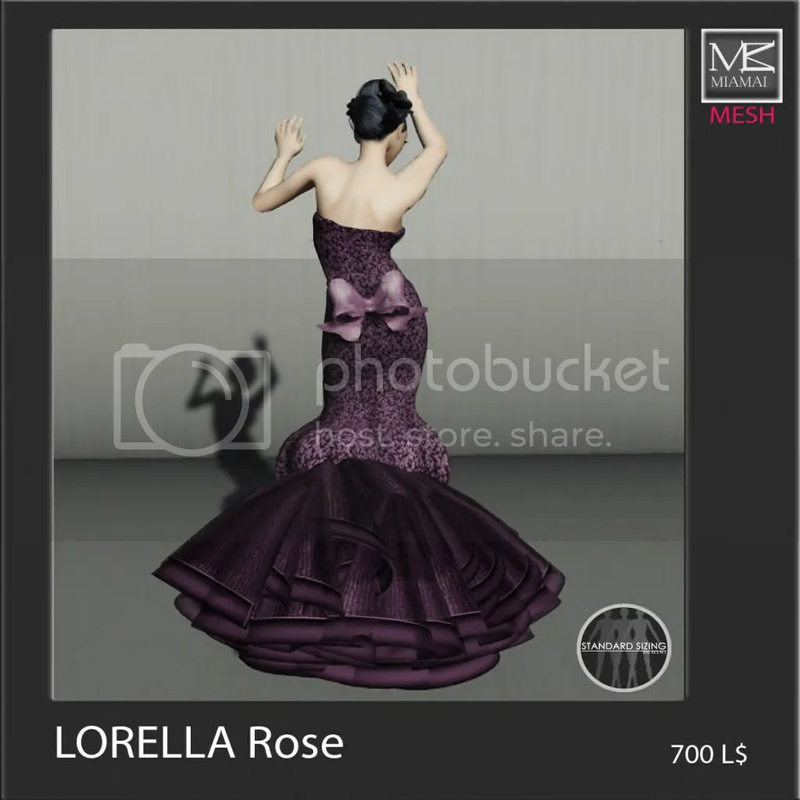 Lolas Tangos appliers are available for Larah and other selected Miamai bestsellers which are Milena, Mavi, Emilia/Red, Giorgia/Black in the Formal department plus Lilli Minidress and Amelie in the City Girl department. 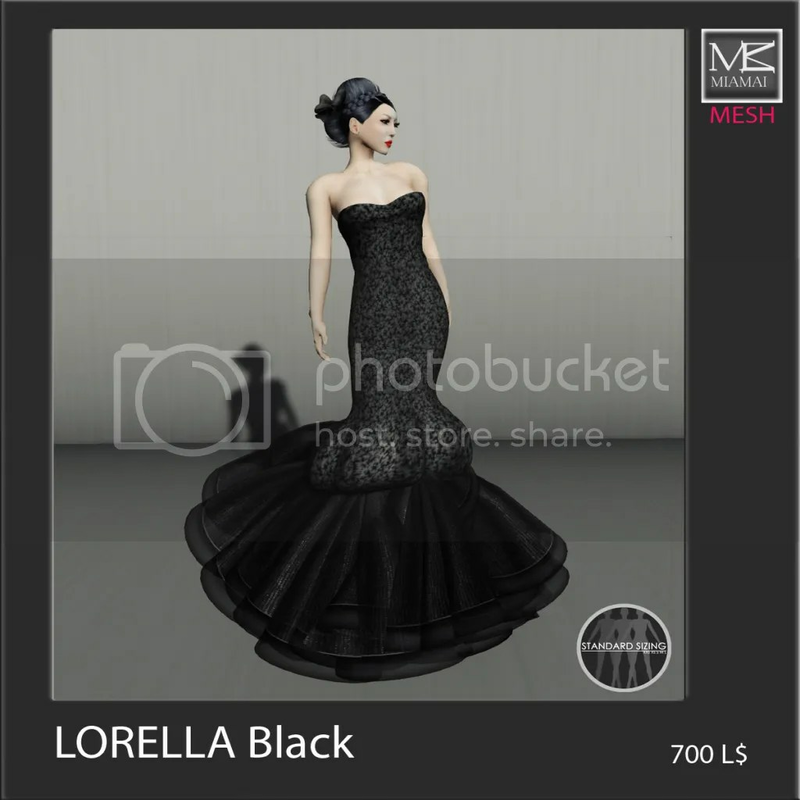 Each applier is priced 99L$, please note that the dress does NOT include the applier, that must be purchased separately. 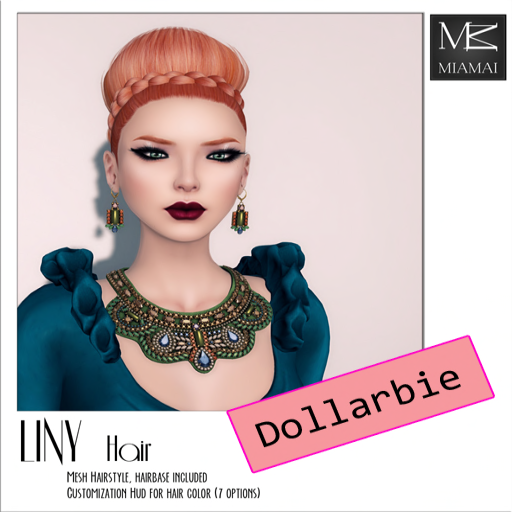 New mainstore, new releases, new gifts!!! As you might have noticed (hehe) the new Miamai Mainstore is finally open, Monica did a fantastic job, you all should tp over NOW ’cause it’s really worth a visit. While there, you might want to check out Karna and Lorella, two new amazing releases. Both Karna and Lorella come in various colors. 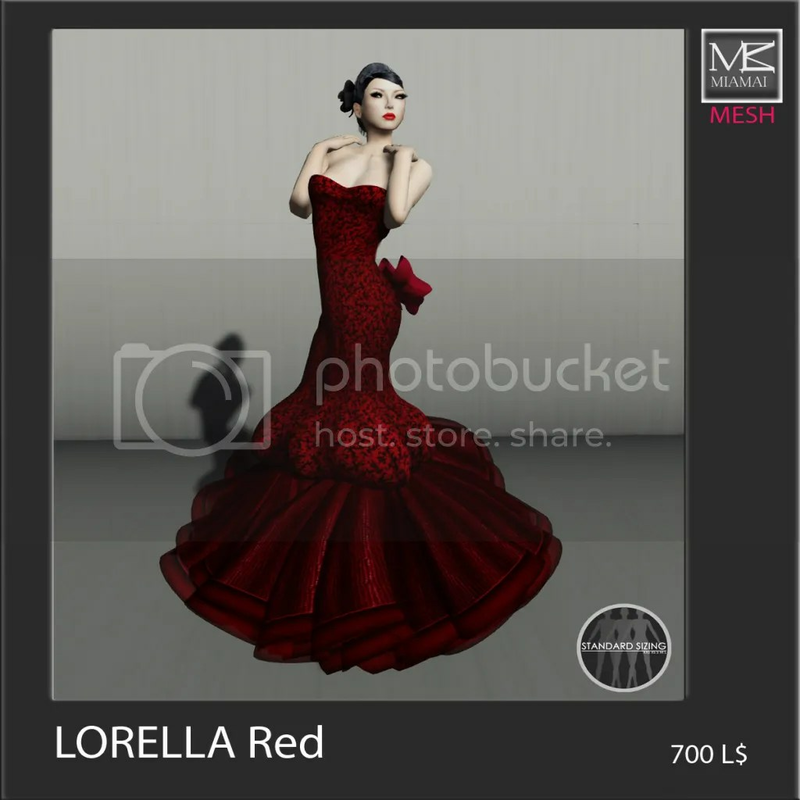 Aaaaaaand there’s something else: Karna and Lorella in two special colors as new GROUP GIFTS! Happy Holidays from Miamai, there’s a gorgeous group gift waiting for you! For Miamai Update Group Members. Subscribe-O-Matic kiosks available inworld at Mainstore Location (get a slurl in the menu on the right). No group slot needed.